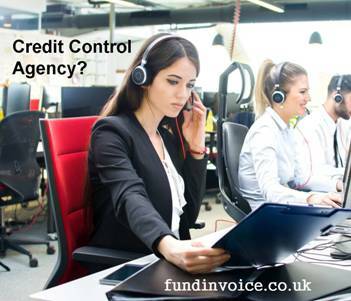 One of the credit control agencies that we work with have been able to provide some first class credit control support to one of our clients, who needed help getting their unpaid invoices collected in. The agency took over the collection of the invoices from customers and they have improved the speed with with they are paid, reducing our client's debt turn. So they have a good track record of working with us. The agency have just told us that they have agreed a credit control agency contract with a multi-million pound turnover business, based in the UK, but who also have an operations center in Europe. Our partners have a team of credit controllers who are multi-linguistic. They were able to visit this particular client, in Europe at very short notice, to review the ledgers. They have agreed to bring them in-house, and take over the function for this large organisation. They will be carrying out the credit control in respect of the customers, who are based across Europe. No doubt their language skills will come into play in collecting from debtors across various parts of Europe. Significant cost savings can be achieved by using part of the time of an external team of credit control staff, rather than having to employ a team in-house. It also avoids having and employment responsibility for the staff undertaking this function. Our partners are actively looking for more large organisations who are looking to outsource their credit control function, whether in the UK, Europe or even further afield. If you would like help from a credit control agency, with a proven record, please contact us and we will put you in touch. If you want to handle your own credit control we have a free credit control guide that might be helpful. Even if you are a small business looking for some help, we have partners that will be able to provide you with a cost effective service, to save you having to do the work yourself or having to employ a credit controller.